What makes salt kosher? What’s the difference between “kosher salt” and regular table salt? Salt is a mineral, and as such, pure salt is always kosher. Some brands of salt have a kosher symbol on the package, and that way you know that a reliable kosher certification agency is checking to make sure that nothing else gets mixed in to the salt and that it’s 100% kosher. So, what exactly is “kosher salt”? Table salt is iodized, meaning extra iodine is added during the processing, which affects the flavor. Kosher salt has a more pure salty flavor. The larger crystals make kosher salt easier to use. You can pick it up and sprinkled it with your fingers, giving you a better feel for how much you’ve used, whereas table salt usually needs to be poured and can be harder to track. It is also easier to distribute evenly, which doesn’t matter much in a soup or stew, but does matter when it comes to roasted vegetables, for example. Keep in mind, that because of the shape of the salt crystals, if you’re using volume measurements you will need to adjust them. In general, if a recipe calls for table salt, use double the amount of kosher salt. So 1 teaspoon of table salt will be replaced with 2 teaspoons of kosher salt, and vice versa. Code of Jewish Law, Yoreh Deah, 69:3. Mrs. Rochel Chein is a member of the chabad.org Ask the Rabbi team. How do I kosher an oven? How do I keep a kosher kitchen when my husband still wants to cook shrimp? Why Do We Dip the Challah Bread in Salt? Richard Weber I once checked with almonds, measured half a cup of whole nuts, and then ground them and remeasured. It was still half a cup. mined under Detroit from an incredibly ancient salt sea has a slightly different flavor than that sun dried from the margins of different oceans, and certain chefs have different preferences. Salt: that is Kosher is definitely larger in terms of grain and coarse in terms of texture. The regular table salt is fine, like sugar, and in fact, it's hard to tell, by just looking, with the naked eye, what is refined sugar from salt. I believe Kosher salt has a different taste from regular salt, but of course, salt is salt. And salty is the result. I often purchase salt that is Ocean salt, and it has more grain, being unrefined. Salt and the Covenant is what I wrote about, and all meanings of salt. Maybe it's our "Lot" in life, to experience the bittersweet. I believe, all stories, do have a language-based connection, and that's what I have been scribing, down the lines on Chabad, for conservatively some hundreds of responses. kosher salt OK, enough of kosher salt being pure, and drawing off blood, etc. All I want to know is, is there a difference in the texture, or taste intensity (over regular table-salt) when it comes to cooking? Salt It feels sometimes like salt being poured on wounds, a way, no doubt, an ancient way, of keeping the wound clean, but this hurts, and so we have this phrase. I often wonder, as I do today, as we approach our Jewish New Year, why it is, we feel, as Jews, that we have it all, as in The Answer, and that we are the blessed Ones? Yes, being Jewish I honor our tradition and story, but also I remember my namesake was not Jewish, and she followed Naomi, for love, just that. And no doubt that is the reason she changed her religion. And then, there is a beautiful story that has everything to do with Messianic lineage and Ruth, if you read the Book of Ruth. Kosher salt I plead guilty to being addicted to THE FOOD NETWORK TV channel and, indeed, we have adapted a number of their recipes in our shomer kashrut home. One funny moment was when one of their chefs was explaining the way to salt one of their pork dishes with “kosher salt”/aka kashering salt. There is actually a very good reason for using this salt: the crystal size gives one a tactile feedback on how much salt you are adding. I have heard this explanation from several of their chefs and found that this procedure is much preferable to using fine-grained table salt. A good explanation from Mrs. Chein I think Mrs. Chein explained this beautifully. Right now, "Kosher salt" is a trendy ingredient. I see kosher salt proudly featured in recipes of all kinds, including many for dishes that are as treif as it's possible for food to be. It would be easy for someone who doesn't understand kashrut to mistakenly think that food containing "kosher salt" (ie salt used for kashering) is actually kosher, and to present the food as kosher. In fact, it's possible for "kosher salt" to be unkosher, even if it was initially kosher (in the case of salt, kosher just means uncontaminated, since there's no kashering process for salt). If a piece of pork somehow falls into a cannister of "kosher salt," then the "kosher salt" is not kosher anymore. The salinity of The Dead Sea makes us buoyant when we take a dip. I will say, unequivocably, The Dead See. You may not believe what I know is true. There is a far far greater story that forms a ring around our lives. Salting non-Kosher meat The prohibition of consuming blood is different for Jews and gentiles. The prohibition in Genesis 9:3-4 concerning the consumption of blood was directed to Noahides, meaning gentiles. As it states there, "every moving thing that lives shall be food for you. But meat with its soul, its blood, you shall not eat.". The laws prohibiting consumption of blood in Leviticus 7:22-27 were directed to the Jewish people specifically. Jews were restricted additionally to those specific living creatures enumerated in the five books of Moses. There was a technique of drinking the blood of living animals as a means of preserving the meat longer while still being able to derive sustenance from the animal. It is still practiced today in certain parts of Africa among the cattle herding tribes. There were also practices of removing individual limbs while keeping the animal alive, again to preserve the meat. This is still practiced today in parts of Asia. 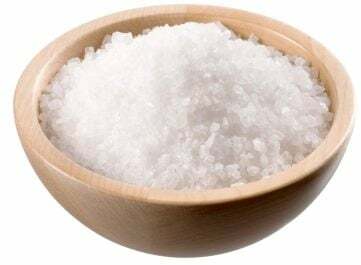 Kosher Salt vs Danger To Life Although your explanation about koshering salt and the permissibility of pure mineral salt are generally correct, salt in the Torah is a strange subject. There are pure mineral salts that the Talmud warns are a danger to life and even cause blindness. These are the salts of Sodom. According to most sources, Sodom was on or near the Dead Sea. A quick search will show that the mineral content of Dead Sea salt is vastly different from Sea salt. One of the big differences is a very high bromide content in Dead Sea salt. According to current medical studies, certain bromides can in fact cause blindness in certain people. Here's a quote from a study cited on Wikipedia, "Blindness has been reported by people with diabetes, multiple sclerosis, high blood pressure, erection problems, osteoporosis."